Bidspirit auction | HOPING, JOHANNES ABRAHAM JACOB. Second work with numerous woodcut illustrations of chiromantic hands. pp. 119, (7) and (9), 163, (4). Foc=xed. Later boards, worn. 8vo. 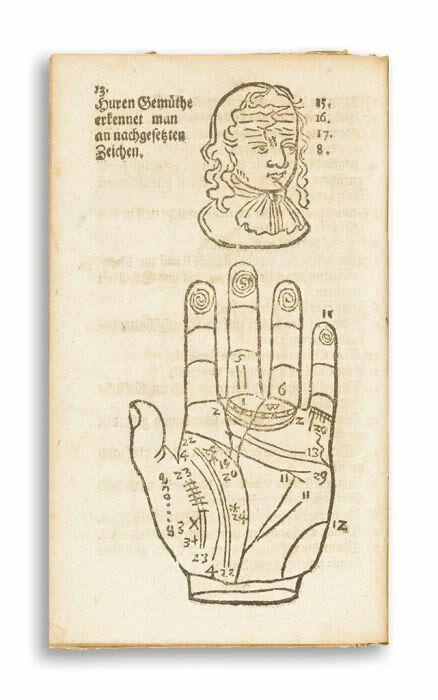 Detailed German guides to the art of palmistry, or chiromancy.